Welcome to the Borgeby Fältdagar media pages. Here you will find news, press information and press pictures. Press contact for Borgeby Fältdagar is Anna Larsen +46 708 161024. 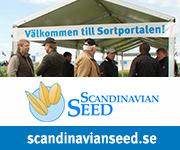 Borgeby Fältdagar is a two-day agricultural show in the field and its main target groups are active professional farmers. New crops, new demonstrations and new machine concept mean that the show continues to expand in a positive way. The chief organiser of the show is HIR Skåne AB a consultancy company for farmers.